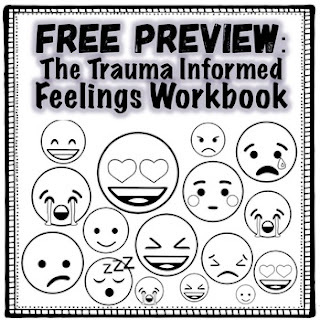 This is a free preview of my Trauma Informed Feelings Workbook! Each activity is either explicitly a coloring pages or doubles as one, perfect for early elementary students! Like what you see in this free download? Please remember to leave feedback, and check out the full Trauma Informed Feelings Workbook! Looking for more resources to build the academic self efficacy of your scholars? Check out my All About College! Group for First Generation Students! !